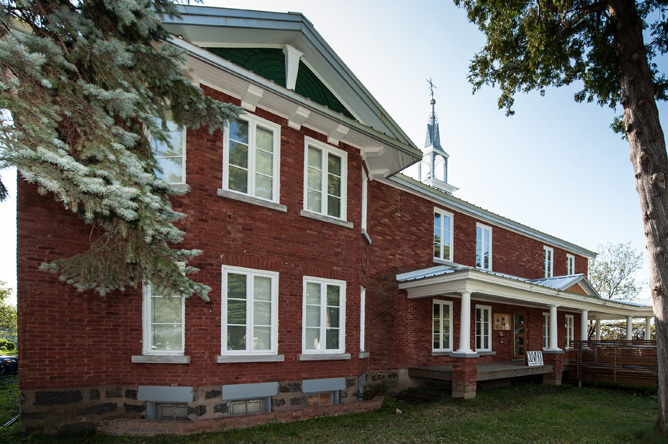 Located not far from the Saint-François River in Odanak, the Musée des Abénakis, which opened to the public in 1965, is the oldest Aboriginal museum in Quebec. The museum underwent major renovations in 2005; the building's floorspace was nearly doubled and the permanent exhibit was updated. The collection includes numerous artifacts, objects and illustrations, as well as an imaginative and captivating multimedia presentation. 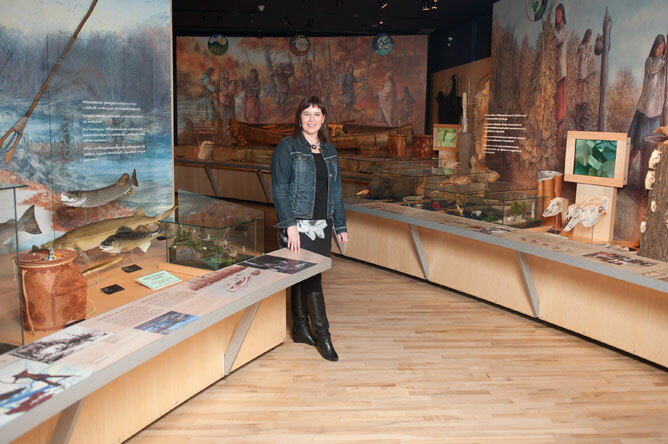 The museum focuses on the history, lifestyle, and future of the Abenaki people. Cultural and educational activities are offered both inside and outside the museum. The oldest section of the Musée des Abénakis in Odanak was once a schoolhouse. 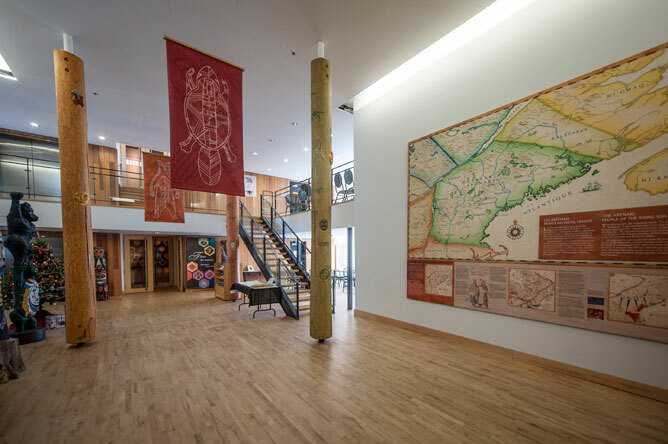 In addition to its permanent exhibit, "Wôbanaki, People of the Rising Sun," the museum offers temporary exhibits on topics related to First Nations. 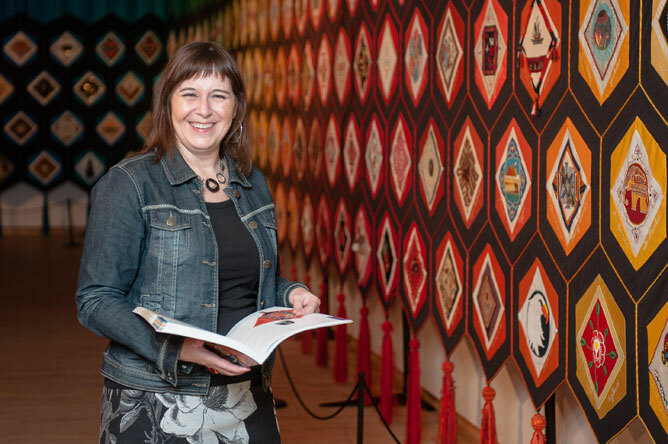 Michelle Bélanger, who has been director of the Musée des Abénakis since 2009, was proud to show us the "Quilt of Belonging," a magnificent collective textile art project. This enormous, vibrantly coloured quilt is 36 metres long and 3.5 metres high, and is made up of 263 hexagonal fabric blocks. Each block was designed by a specific cultural group, and tells of that group's history. The techniques used to create each block reflect the differences among peoples: from beaded caribou hides to gold-embroidered silk, to fabrics embedded with butterfly wings, stones or shells. The hexagonal blocks recall a beehive, conveying how all of these diverse cultures come together to form a community. This spectacular work of art has been seen by over 1.5 million people across Canada. Ontario artist Esther Bryan designed the project, which is intended to celebrate humanity, harmony among cultures and cultural diversity. Esther Bryan spent six and a half years seeking representatives of each group and convincing them to create a piece representing their culture. 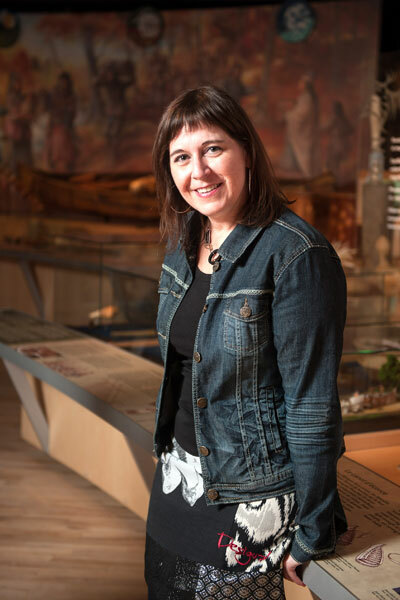 When Michelle Bélanger was studying for her Master's in museum studies, she already had an interest in helping museums become more involved in the communities they serve. She believed this approach would be easier to apply in a smaller museum. She also hoped that a smaller staff would give her more opportunities to perfect her knowledge by getting involved in all aspects of running a museum. The Musée des Abénakis was an ideal fit, as it allowed her to build direct, personal relationships with members of the local community. She first had to take some time to learn about and become part of the community. Michelle Bélanger loves a challenge; she was eventually able to gain acceptance as the first non-Aboriginal director of the museum. Today, she dedicates part of her time to training Abenaki youth to ensure someone will be there to take over when she leaves her position. Michelle Bélanger dedicates considerable energy to reaching out to members of the Abenaki community and getting them involved in a variety of projects. For example, in summer 2012, six Abenaki youth from Odanak were trained as apprentices and worked on an archaeological dig near the museum. The public could also follow the day-to-day progress of the dig via an online diary. The community outreach portion of the "Odanak Fort: The Past Revisited" project took place alongside the research portion, and was intended to help the community take ownership of the project. This dig, led by archaeologists Geneviève Treyvaud and Michel Plourde from Université Laval, aims to find traces of the first church built in Odanak and of Odenak Fort, built by the Abenaki community in 1704, and also revealed various 18th century artifacts. The artifacts will be added to the museum's archeological collection and will be presented as part of a new exhibit. 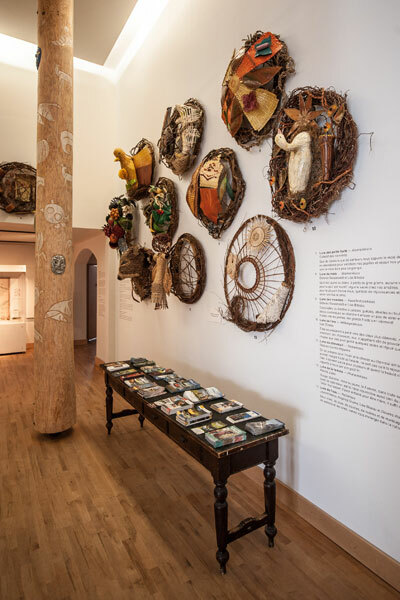 The "Thirteen Moons" exhibit showcases contemporary works inspired by the Abenaki lunar cycle. These innovative pieces use traditional basket weaving techniques, updated by adding recycled and synthetic materials to the traditional black ash and birch fibres. The project results from a collaboration between Abenakis basket weavers from Odanak and French wickerwork artist Laurent Weiss. It was displayed in 2010 and 2011 at the Fruit Gardens of Laquenexy in France. The Musée des Abénakis has various rooms and halls that can rented for corporate and family events. During the summer, visitors can also access a belvedere for a panoramic view of the Saint-François River. 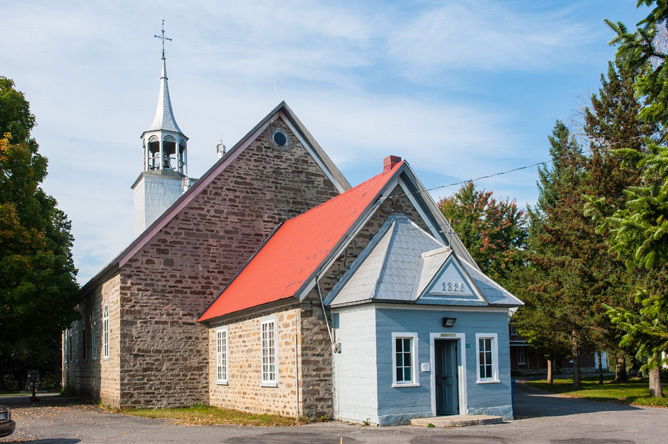 A charming early 19th century Catholic church is located near the Musée des Abénakis. 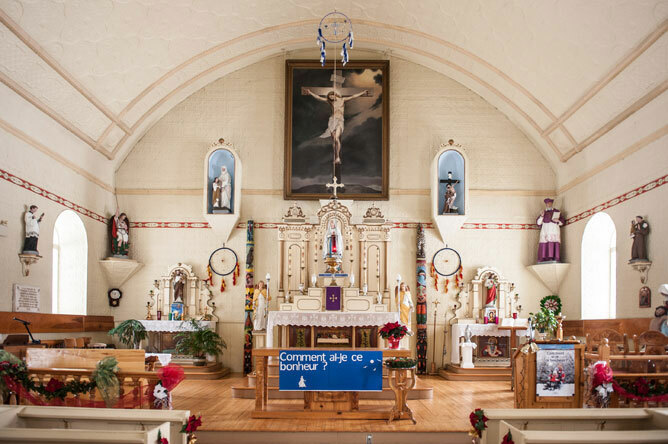 The church is decorated with Abenaki cultural symbols, as well as the usual Catholic symbols. 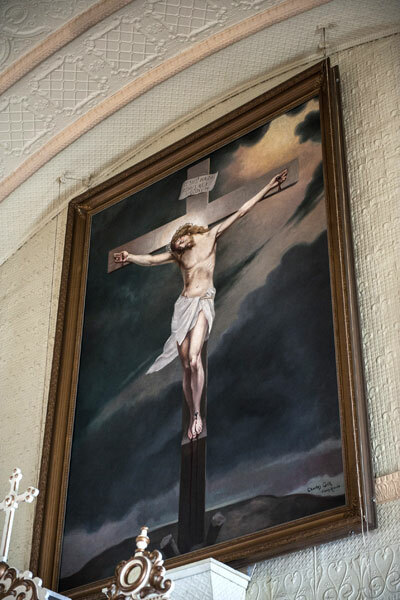 Painting of Christ on the cross by Charles Gill. This painter and poet was born in Sorel in 1871 and died of the Spanish flu in Montreal in 1918. 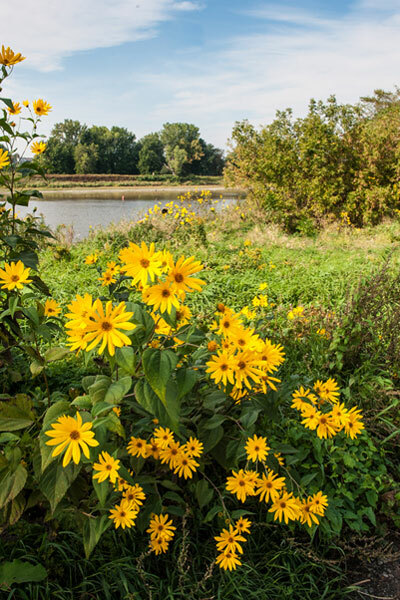 Just outside the woods, the vivid yellow flowers of Jerusalem artichoke brighten the Tolba nature trail in Odanak. This plant's tubers, which can be used in place of potatoes, are notable for their lack of starch. Tolba is the Abenaki word for turtle. A wide variety of edible wild plants grow along the Tolba trail, not far from the Musée des Abenakis in Odanak. 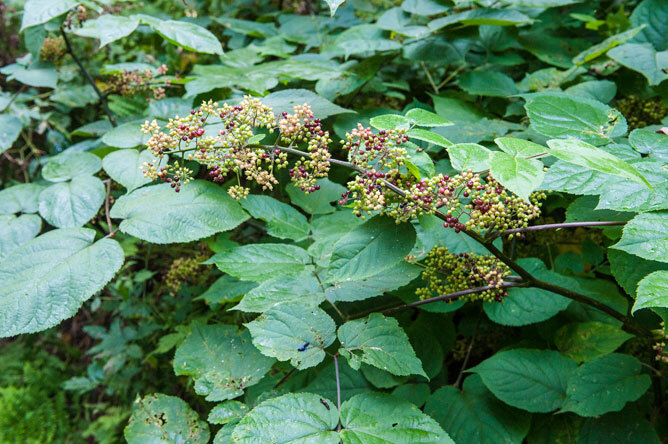 The delicious taste of the American spikenard's dark purple fruits is reminiscent of licorice.